Donate any amount to d.talks and receive a tax receipt for your donation. We have a challenge match to continue our writing workshop for a second year. 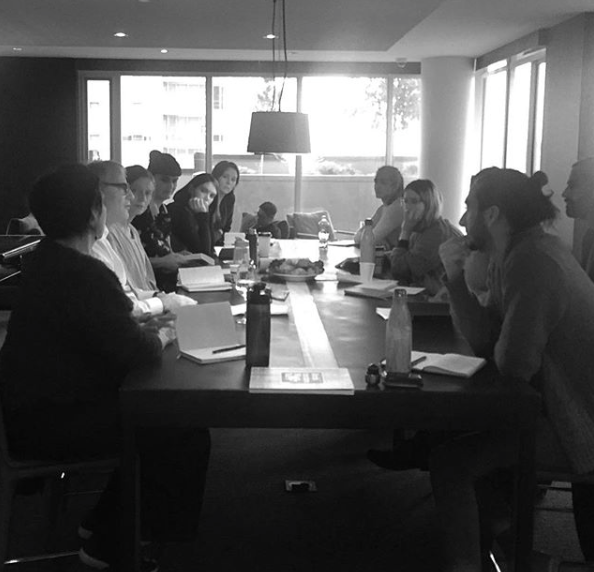 Write On is a new program that gives professional and aspiring writers the opportunity to develop and produce a piece of critical writing about the urban form. Artists, architects and designers from across the province come together to hone their craft. The first workshop is supported by the Rozsa Foundation. To continue the workshop another year, we could use your help to match a grant supporting the second year's workshop. College and university students attend d.talks events to learn and network with professionals. And now, you can help make it more affordable for students to participate. Your student sponsorship of $50 for a year makes it possible for students to attend all year long at a discounted price of $6. You may also make your donation by cheque or cash by contacting us here. d.talks is a registered charity (#814569729RR0001) and a charitable tax receipt will be issued for any gift of $20 or greater in compliance with CRA regulations.